Lynette: Thanks for having me. age, your height, where you started with your weight, where you ended, that kind of stuff. wouldn’t even read device. My BMI was 50.1. My waist was 51 and my hips were 61. Rayzel: Okay. So where are you at today? Lynette: Today I am, my BMI is 33.5 and my fat is 41.2. My waist is 34 and hips is 47.
that’s like 17- around 17 inches and then your hips where did you start again? off of each. That’s like a foot and half almost. Lynette: Never thought about that. your clothing size, do you know how has your clothing size changed? Lynette: I was wearing a 26-28 in women’s and now I wear a 16 and I can get in some 14s. Rayzel: Awesome. That probably feels really good. whole life or was that something more just in the past few years? Lynette: This is- I probably been overweight- me and my dad was talking about that today. into adulthood overweight. I’ve lost weight off and on. with that throughout those years? What is it that made it difficult, you think? then getting it back on doesn’t seem very hard? It’s like wow, this should have taken longer. Lynette: Yeah it’s just a whole different mindset I guess. Lynette: From then to now. 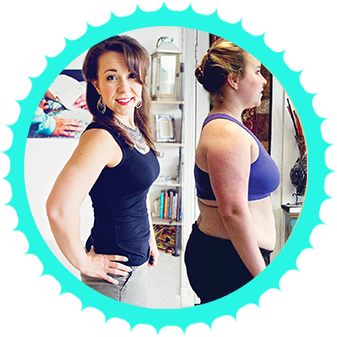 different for you this time with learning how to actually maintain the weight loss and stuff? paper then I can see the results on the scale. It was really exciting. you finding difficult when you were really heavy? couch and that was it. Rayzel: Gotcha. So just feel like you couldn’t really do much in life. Lynette: Really couldn’t function, not at that weight. It was really depressing. have to stop and sit down. Lynette: It just felt so freeing. Just being able to just walk. Rayzel: Like, I can move my legs. Lynette: And without sweating. Oh, it just feels awesome. you during Phase 2? Did you have any issues with low blood sugar on Phase 2? really gonna pass out then. But the only time that ever happened that one time. Rayzel: Gotcha. And that was just cause you kind of waited too long. Lynette: Waited too long but other than that I haven’t had that problem but that one time so. since you have a low blood sugar but it sounds like it wasn’t too much of an issue for you then. Lynette: No, not now it isn’t. Rayzel: Did you do injections or drops? Lynette: I did the injections. Rayzel: Okay. And you stuck with that for- how many rounds did you do? Lynette: This past September was my 3rd round. Lynette: Yeah, I think I had to up it a little bit. how did you end up actually doing Phase 2. I think that kind of stalled me out a little. Lynette: I did it again and I finally broke 200. Rayzel: About how much did you lose on your first round or each round? was, you have to add the load weight. 20 pounds but it’s like 15.
spread out. So you have several months in between? Lynette: Right. I have from May of 2013 and then I did it again in January of 2014. Rayzel: Yeah so that’s quite of while. Lynette: Then September of 2014.
the end of the round I was getting pretty tired of it. Did you feel that way? Lynette: Yeah, this last time, in September I did. if you do that then it’s gonna be a wash and you’ve wasted your time and effort. like, Okay, I feel ready to do this again, you know. cover you up or whatever. you look through the process not just like at the very end. You know what I mean? end I just feel like it’s gonna make it hard. accept. This is the way it is and it’s better than what it was. having cheating and issues, so that’s why it’s smart. Okay. have somebody to talk to about it. Lynette: You’re in the mode I’m in. I don’t have any ink either. Lynette: No. I’m pretty much just been losing steadily. Rayzel: So you just really stuck to it? by the end of the day it’s like maybe 10 handfuls. This time I’ve cut those out. Rayzel: Are you talking about for Phase 3 or Phase 2? Lynette: I really haven’t cheated in Phase 2 except for that Chocolate delight. more room to sometimes get out of hand. Rayzel: So what types of food on Phase 3 do you enjoy eating that you do well with? starches and sugar. So I keep to that. Rayzel: Cool. I’d love to hear about the eggplant and zucchini pizza, how do you make those? you call it and just stick it in the oven. Rayzel: Awesome. So just on the slices. pizzas. It sounds really good right now. Lynette: Oh and they’re out there in Pinterest. Rayzel: Yeah. I’ve seen some so awesome. Okay, let me see. Where am I at now? family it would have been really hard to do this. Rayzel: How did they support you? Rayzel: Wow and they weren’t actually on hCG right? Lynette: No. It’s just the way we eat. Lynette: I have here about 48 pounds. there I went to 224. Rayzel: Wow and the next several months? Lynette: I don’t know if it’s 48 or not. Rayzel: Well 272 to 224 so those are definitely a good amount there. Lynette: It’s like a 1200 calories and I tracked that with an app. Rayzel: What app did you use? it low carb or did you have some carbs in there? you eat in Phase 3 and I don’t feel like I’m being cheated. thinking about that. Was that hard for you at first? worry about your son getting that and so making a healthy change is really good for us. Lynette: It was just time. Rayzel: Find something that works so that’s good. good I feel, I believe I could make million. So it is just so drastic the change. you felt were key to you doing this? you didn’t know anything about it. effects your moral. If you’re hungry for too long you just start being desperate. when you’re supposed to be doing it. what foods you could eat. This is rather detailed. It’s not just 500 calories of whatever you want. So it’s good to be prepared. they’re eating and they won’t leave you alone unless you partake in. Rayzel: How do you handle that? Rayzel: How did they respond? Is he okay? Lynette: Yeah, they were okay after everybody pounded on me for a minute. Lynette: It comes to the point are you gonna make them happy or make you happy? gonna choose people I don’t know that well or I’m gonna choose my family? turn myself around for that. Not for cake today. that’s about all that I wanted to ask you. Lynette: Well I hope I did you a good interview. I don’t know. we’re gonna resonate with different people. yourself everyday unless you have that inner thing. Rayzel: Yeah. An inner scale. I don’t have that. I’ll be but somewhere around there. Rayzel: So maybe it’s another 50 or so? Lynette: Yeah, 25, 30. My husband’s leaving, they’re going to work now. stable weight whether it was a little overweight or not and it is nice it’s comforting. range so it’s been helpful for me in that respect. would rather have potato chips which is not any better but I don’t crave cake and pie and stuff. Rayzel: You’re lucky. You are one of the lucky ones. Lynette: In fairness I can’t figure out how I was overweight if I’m not eating all this stuff. were saying that Oh yeah I just made the change and I didn’t cheat and I just, it wasn’t too hard. we’re overweight and we have to make change. losing well this time I’m eating 1750 calories and maintaining. Rayzel: That’s great. That’s so good. Lynette: And I’m like I get to eat all this food. Rayzel: I was actually gonna ask you that, what’s your maintenance level of calories. So 1750. Lynette: I have gone up to highest 2000 later. Rayzel: Yeah, so you kind of found your little comfort zone. Rayzel: Yeah so you did that and then you lost weight? Lynette: I lost 2.8 pounds. Rayzel: Oh cause you have that super low carb day. that but it helps if you have to wait to dinner. that like egg days, other people would do just Greek yogurt all day and nothing happens or. Lynette: Steak and cheese, I heard that one too. if I can live outside of 1200 calories. Can you ask her how she prepares the eggs on the day she does eggs and steak that would would be awesome. Thanks. LOVED her advice on learn how to maintain where they are because for the first time that is exactly what I am doing!! Loved this! Hey girly this is lit6/happilynaturallit26 I can not wait to be one of your interviews!!! I hope you are still doing this in a year or two! !